As I lie here sick in bed (gastroenteritis is not fun), when I’m not sleeping or watching YouTube videos, I’m bored out of my mind. My Kindle has run out of charge and I don’t know where the charger is, so I’ve decided to write a blog post. Alas, I have no other ideas in my brain right now, so today I’m writing about the awesome apps I have on my phone. My phone is a OnePlus One, because I’m not a mainstream kinda gal (or perhaps because I copied my boyfriend), so all of these apps are for Android and thus available on the Google Play store. They’re probably also available on the iPhone app store if you’re that way inclined, but I don’t know for sure. Enough pre-emptive rambling, time for the apps init. Oh, and my phone case was from Aliexpress, in case you were wondering. 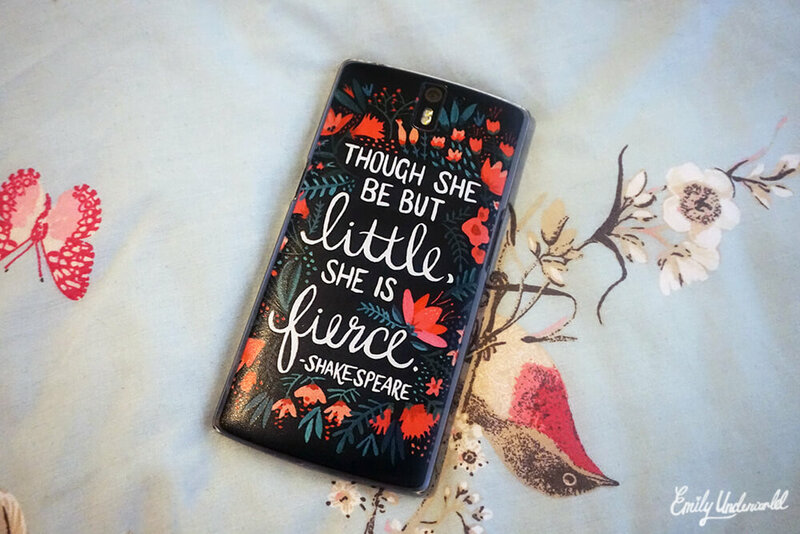 Yay for cute feminist Shakespeare quotes. Peak – I’m one of those people who enjoys keeping their brain active, expanding my knowledge, that kinda stuff. I used to love the Brain Training game on Nintendo DS (I still weirdly have some Shakespeare lines memorised from it), and well Peak is basically a modern, sophisticated app version. 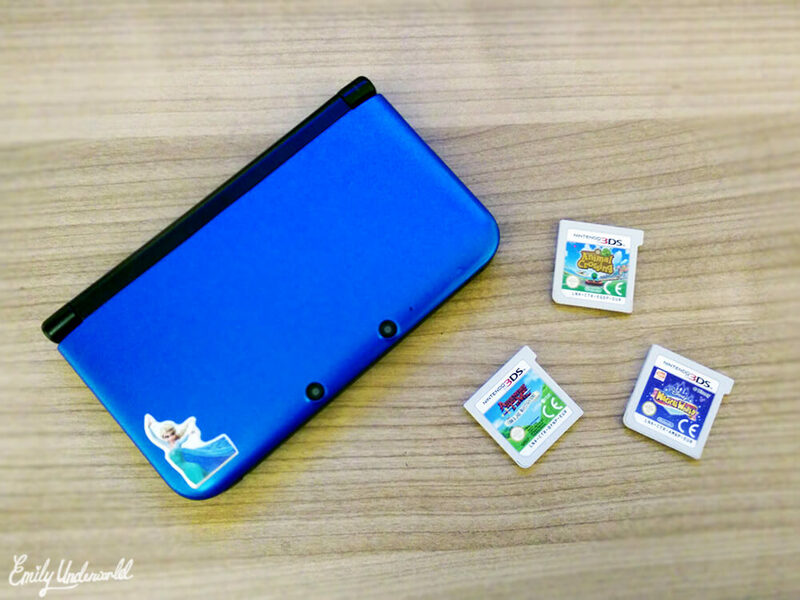 It’s filled with little daily puzzles/games for you to complete, with the aim of making you ‘mentally sharper’. The games are short, different each day, and Peak provide an interesting brain map that shows what you’re good at (for me, it’s languages apparently), and what you need to improve. Zombies, Run! – Whoever came up with this idea is a genius. Zombies, Run! is an awesome running app that makes you run from zombies. It’s hard to explain how cool it is until you try it, but basically you’ve got a radio thing that tells you what your missions are, supplies to collect, and you have to speed up when zombies are coming! It’s so much fun, and you can listen to music at the same time, it’s definitely a great way to motivate me to exercise. Duolingo – I mentioned in a blog post (10 things that have made me happy recently), that I’ve been learning Italian recently, and I owe it all to Duolingo. It’s an amazing free app that has helped me pick up some basic Italian, I’m 9% fluent so far! It’s fun to use and reminds you to practice, I couldn’t recommend it more if you want to learn/improve on a language. Depop – If want to sell your clothes on an app with an interface similar to Instagram, then Depop is for you. I’m so fed up with eBay, so recently I’ve been giving Depop a go, uploading lots to my feed. I’ve only sold 2 or 3 items so far, but that’s better than nothing and I already have 250 followers on there (my username is @emilyunderworld of course). It’s a fun way to sell your clothes and other things – I’ve bought some vinyl records on there – I definitely recommend. Hatchi – Were you obsessed with Tamagotchi when you were younger? I was. This app is essentially a Tamagotchi for your phone! It’s so cute. You can have a widget for it on your homescreen too, which makes it even cuter. I believe this cost 59 pence and was totally worth it. Miitomo – You’ve probably heard of Nintendo’s new venture into the world of game apps, but in case you haven’t, Miitomo is their latest creation. With your mii, which can be personalised by personality and voice as well as appearance (like Tomodachi Life), you can play games, connect with friends, and answer somewhat absurd questions. It’s kinda random, but also endearing. I totally recommend it. Sleeptime – I’m one of those people who suffers with sleep issues; I often have insomnia, wake at the slightest noise, but also sometimes oversleep. I’d love to get one of those cool Lumie Bodyclocks, but for now I’ve found that the Sleeptime app has really helped with waking up at a regular time. It monitors your sleep using your phone accelerometer, and creates a 30 minute wakeup time based on when you want to get up, waking you at the optimal time of your sleep cycle. This has definitely had an impact on how rested I feel every morning, and it’s interesting to read the insights on how efficient my sleep has been (which is not very apparently – I average only 5 hours per night!). Previous Previous post: Selling All Of My Clothes? !